Porcelain veneers are known for their durability. They’re far less likely to chip than their composite resin counterparts and hold up well to chewing. Gums tend to respond very well to porcelain veneers. One of the greatest benefits to veneers is how customizable they are. Each veneer is essentially a thin ceramic shell that attaches to the front of your teeth. Impressions of your teeth are sent to a lab where the veneers are made to completely enhance your individual smile. Therefore, discoloration, chipping, cracks, and other cosmetic issues can be addressed in one fell swoop. They can even help with gaps or uneven spacing between teeth. 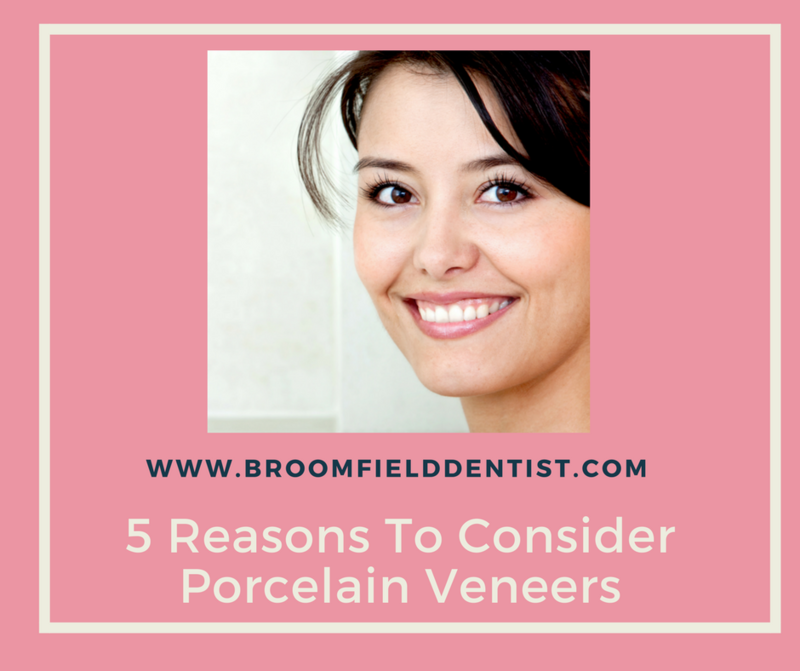 Unlike natural teeth, porcelain veneers resist stains remarkably well, which keeps them pearly white for years and years. Coffee, tea, and other beverage that normally causes yellowing or discoloration do not have the same effect on them, ensuring a glowing grin that you truly want to share with the world. Dr. Peebles-Turner and her wonderful team serve patients in Broomfield, Colorado.